Prosecutor Alberto Nisman had planned an arrest warrant for Argentine President Cristina Fernandez de Kirchner, according to the woman investigating the prosecutor’s mysterious death. Lead investigator Viviana Fein said the draft warrant was found in a rubbish bin in Alberto Nisman’s apartment complex. Alberto Nisman was found dead in his Buenos Aires apartment last month, with a single bullet wound to the head. Investigators have yet to establish if he killed himself, or was murdered. Alberto Nisman had been investigating the 1994 bombing of a Jewish centre in Buenos Aires which killed 85 people. He died hours before he was due to testify in Congress against President Cristina Fernandez de Kirchner, whom he had accused of covering up alleged Iranian involvement in the 1994 attack. President Cristina Fernandez de Kirchner has denied the allegation. Iran has also denied involvement in the attack. Viviana Fein told a local radio station on February 3 that the draft warrant was “in the file”. However, the document had not been included in a 300-page report submitted by Alberto Nisman to a federal court, days before his death. The government dismissed as “garbage” a local newspaper report earlier this week that referred to the existence of the draft warrant. 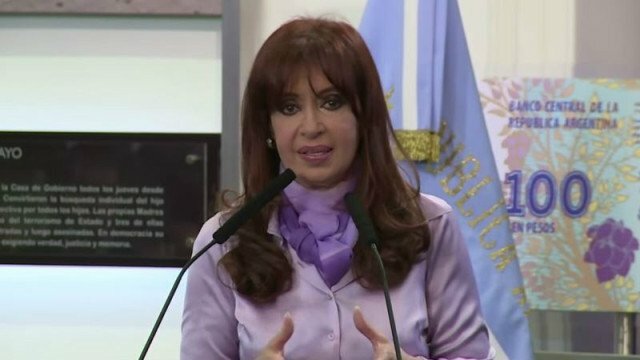 President Cristina Fernandez de Kirchner had also originally described Alberto Nisman’s death as suicide. However, in a televised speech last week, the president suggested that rogue elements in Argentina’s intelligence service had fed Alberto Nisman false information and manipulated him. The president announced plans to dismantle the Intelligence Secretariat (SI) and called for a special session of Congress to discuss a draft bill to that effect.